On 23 April 2018, Estonians declared the wolf as their national animal, symbolising cooperation, dedication and the integrity of wildlife. 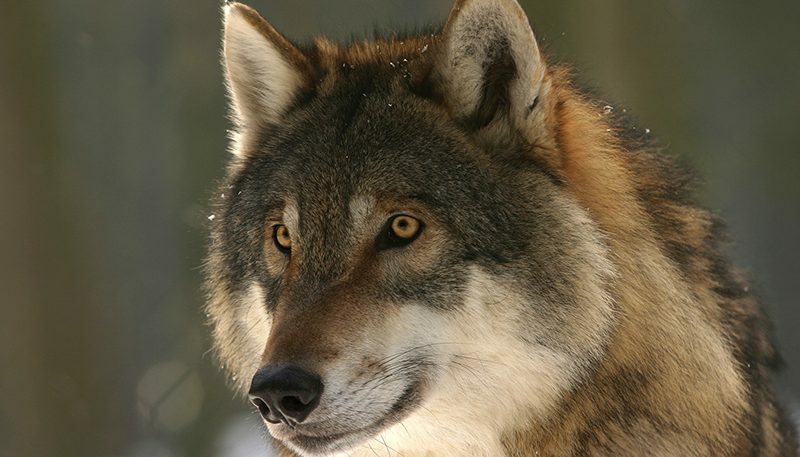 In light of this news, we turned to Helen Arusoo, the leader of the National Animal Working Group, to explain us the nature of the wolf and its role as an animal in the woods. “We have all heard the phrase ‘a man is a wolf to another man’. This ancient saying has given us the notion that the wolf is a scary and selfish being. That could not be further from the truth. The wolf is a brother and faithful companion to another wolf. In the wild, there are very few species in which the herding system is as well placed as the wolf. This is confirmed by animal studies in the last half-century, and we can be convinced of this ourselves when we look at our loyal dogs and simply dwell a little bit on this: who could be more loyal than a dog? It was the wolf that gave us the dog as a faithful home guard, a personal friend and the most skilful companion on our hunting trips. It was from the wolf that man was able to breed a substantial number of different dogs whose benefit to human society is difficult to overestimate. The old Estonians have always known the importance of the wolf. There is no other animal about which Estonians have written so much folklore, and who has so many different names than the wolf – in the Estonian language, the wolf has more than 500 names. It is known that the number of names for wolves in Estonian is one of the most extensive in the world. The ancient Estonians honoured the wolf, allocated a fixed “wolves’ share” for the work and helped protect it against foes. In more recent times, Estonians support their wolf-friendliness in addition to information that has come to mankind through a painful lesson – there is no green world without predators. The green world hypothesis acknowledged by scientist says that the loss of predators will lead to an explosive increase in the number of herbivores and the over-consumption of vegetation. Therefore, wolves and other predators are considered to support the species of the ecosystem that determine the abundance, distribution, size, composition and diversity of the prey population. The wolf takes care of the health of our forests.